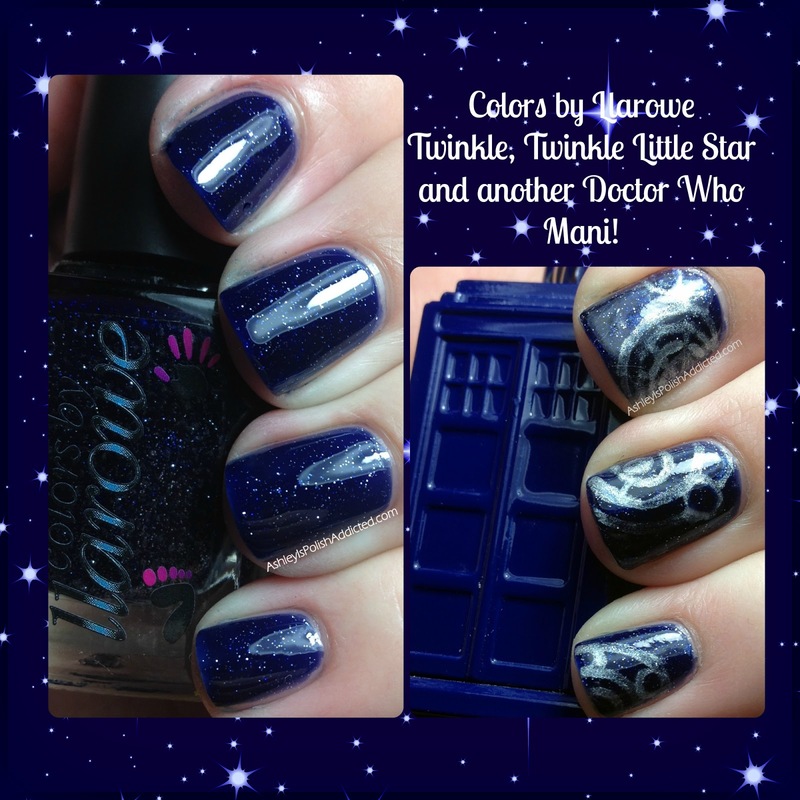 Ashley is PolishAddicted: Colors by Llarowe Twinkle, Twinkle Little Star with Another Doctor Who 50th Anniversary Mani! Colors by Llarowe Twinkle, Twinkle Little Star with Another Doctor Who 50th Anniversary Mani! I used Colors by Llarowe Twinkle, Twinkle Little Star as my base for this mani. 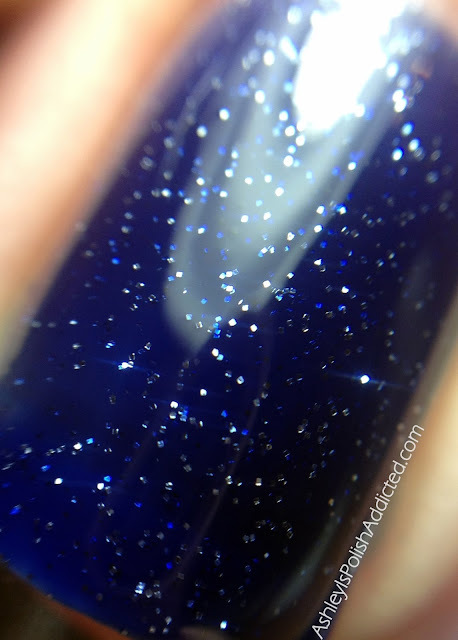 This polish is an almost exact dupe of the much sought-after and very hard-to-find Essie Starry, Starry Night (click here to see a comparison from Pointless Cafe). It is so gorgeous and made the perfect "galaxy" base. 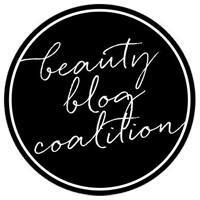 I had no issues with formula and I only used 2 coats for the photos. 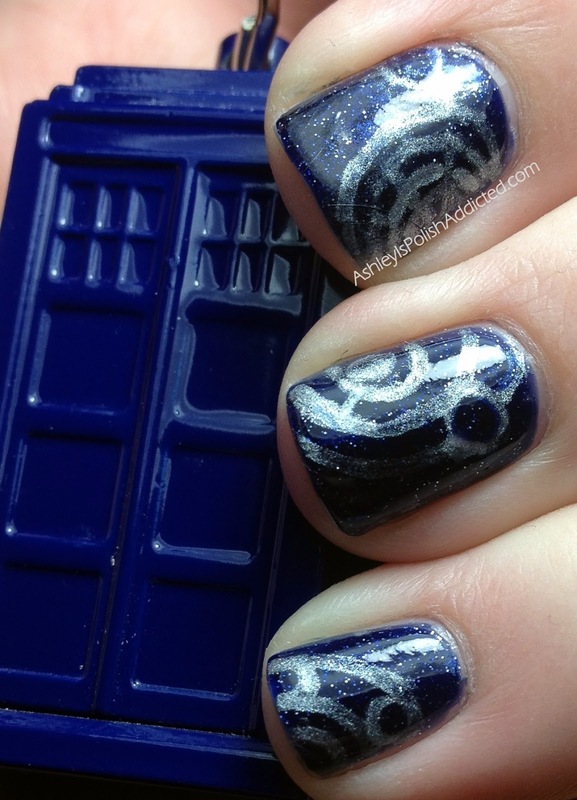 I wanted to add some Gallifreyan writing to my nails but really had no idea how to do it. (Gallifrey is the planet The Doctor is from for those of you who don't watch the show.) I now know there is a stamping plate with that image on it but I'm not very good at stamping, plus I kind of wanted to do something freehand. I think straws might have worked well but I didn't have any. I tried a striping brush but I'm not experienced enough with those yet to make circles. Haha! I remembered I had an old nail art pen so I figured I'd give it a shot. I would have preferred the Gallifreyan to be in white but I only had one nail art pen and it was silver so that's what I wound up with. It's not perfect but I was pretty happy with it! 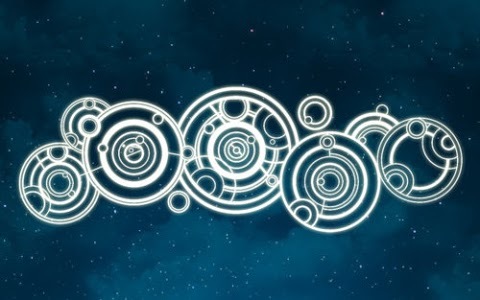 First, a pic of Gallifreyan writing in case you aren't familiar with it. I hope you enjoyed! And if I don't make it back here before Thanksgiving, I want to wish all of my US readers a very happy Thanksgiving! 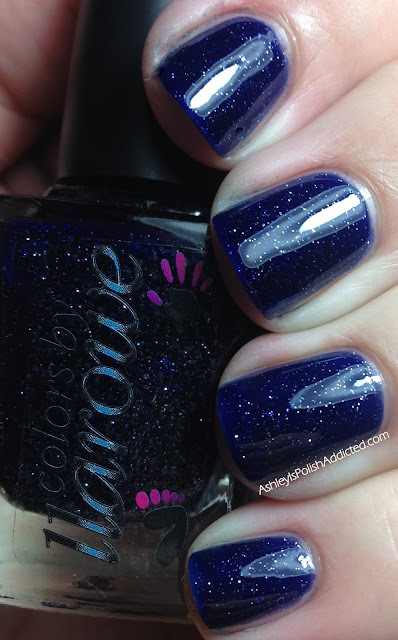 Colors by Llarowe polishes are available through her site and, often, through pre-orders. 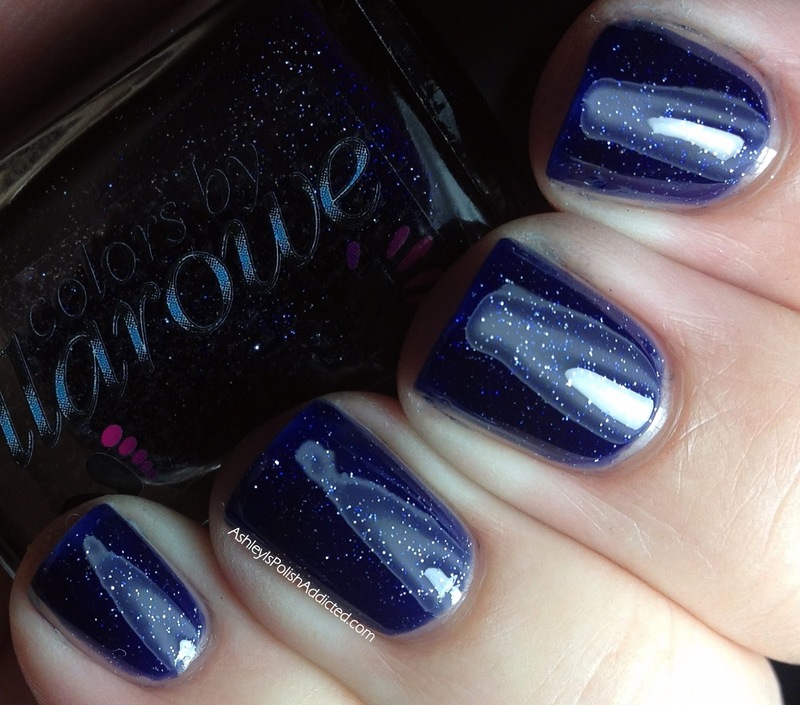 You can find out more about the ordering process on the Llarowe Facebook Page. Great polish, and I like the art! I just watched it on tv, didn't know there was special content at the theater, dang. Happy Thanksgiving! 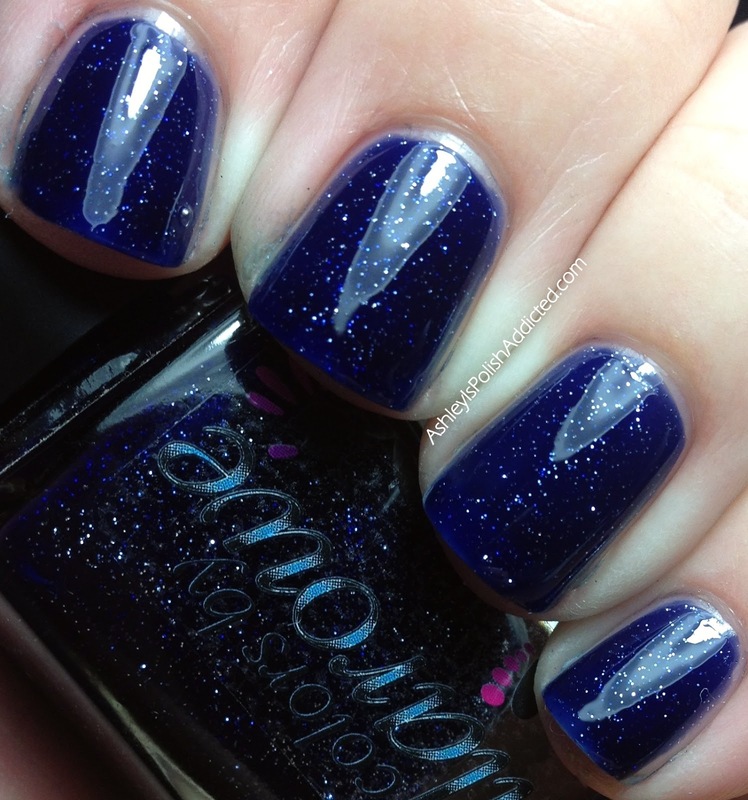 Question: does this polish "eat" topcoat like many glitter-containing polishes do? The color looks TO DIE FOR in your swatches, but I'm a bit hesitant about spending $12 on a polish that might end up with an "gravelly" texture after a day or two (as glitter polishes tend to do). Hi D! 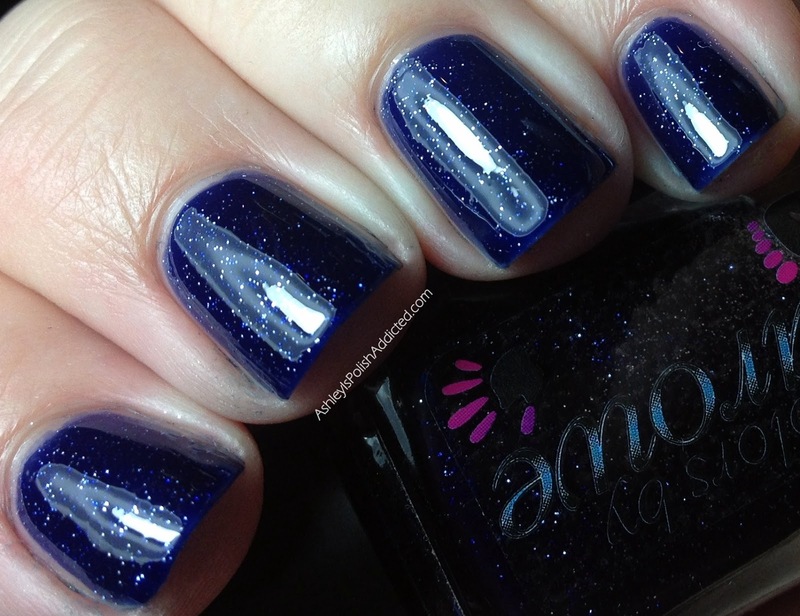 This polish actually dries to a shiny, smooth finish on its own without any grit at all. You don't even "need" a top coat other than to protect the mani. I did not use any top coat in my photos here. Birthday Skittlette to Match My Shirt! Rock and Mineral Week Continues!